A110-1 HEAVY MIGRATORY BIRD ACTIVITY ON & INVOF ARPT. HEAVY BIRD ACTIVITY OVER LANDFILL LOCATED 3.5NM SOUTHWEST OF THE AIRFIELD. A110-10 AIRCRAFT OPERATING RWY 07L, TWY N2, P2, P3 NO SIGNS NO MARKINGS. A110-11 DRONE ACT NE OF THE ARPT. ACFT ARE TO USE CO FLY QUIET PROC OR RCMD NOISE ABATEMENT PROC, FOR DTL CTC AMGR AT 386-248-8030. A110-12 AIRFIELD SFC CONDS ARE NOT MNTD BTN THE HRS OF 2100-0500. A110-13 ACFT OPRG RWY 07L, TWY N2, P2, P3 NO SIGNS NO MARKINGS. A110-14 AFCT ARE TO USE CO FLY QUIET PROC OR RCMD VOLUNTARY NOISE ABATEMENT PROC, FOR DTL CTC AMGR AT 386-248-8030. A110-15 DRONE ACT NE OF THE ARPT. A110-16 FOR SPEEDWAY FLY-OVERS CTC DAB ATC. A110-2 EAST END OF TWY S IS NON-MOVEMENT AREA. A110-3 EXTENSIVE FLIGHT TRAINING ON & INVOF ARPT. A110-4 FULL LENGTH TWY ECHO RESTRICTED TO MAX CERTIFIED GROSS TKOF WEIGHT OF 22,000 LBS. A110-6 FULL LENGTH TWY P RESTRICTED TO MAX CERTIFIED GROSS TAKEOFF WEIGHT OF 190,500 LBS. A110-7 RY 07R/25L NON-ACR ACFT ONLY. A110-8 TWY 'N' NW OF RY 7L AND NE OF RY 25R CAN BE MISTAKEN FOR THE RY & APCH ENVIRONMENT. 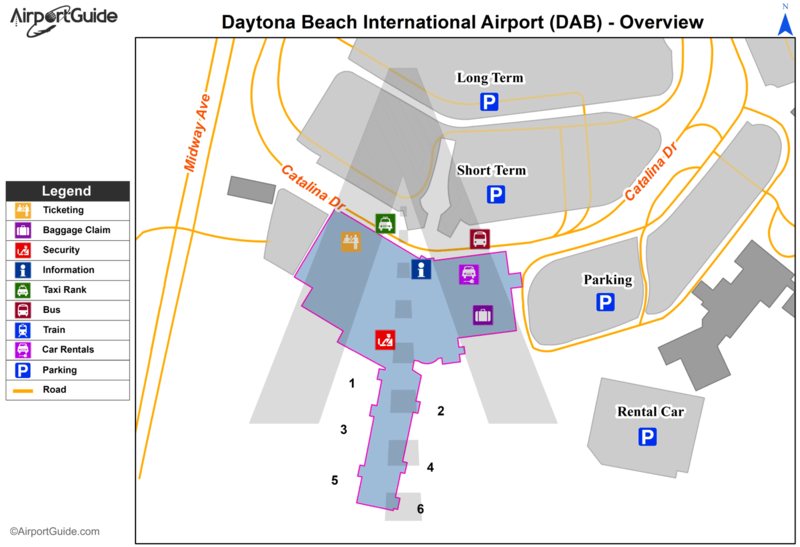 A15 DAYTONA BEACH INTL ARPT. A33-07L/25R RY 7L FIRST 2300 FT CONCRETE ON 50 FT WIDE KEEL SECTION. A33-07R/25L UNEVEN PAVEMENT ON THE OUTSIDE EDGES OF RY 7R-25L. A43-25R PAPI UNUSBL BYD 5 DEG LEFT AND RIGHT OF COURSE. 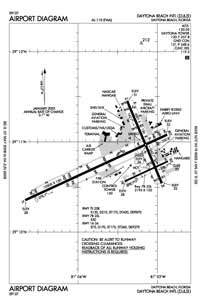 E147 TPA FOR LGT ACFT 965 FT AGL, TPA FOR HI PER ACFT 1365 FT AGL. Dual Wheel Landing Gear: 224. Dual Dual Tandem Wheel Landing Gear: 915. Dual Dual Tandem Wheel Landing Gear: 892.